For a small business, a website is the most critical tool for branding and generating sales. Its your welcome mat. If you’re an ecommerce business, it drives the revenue that makes your company viable. If you’re a service business, it’s the best way to demonstrate your expertise. 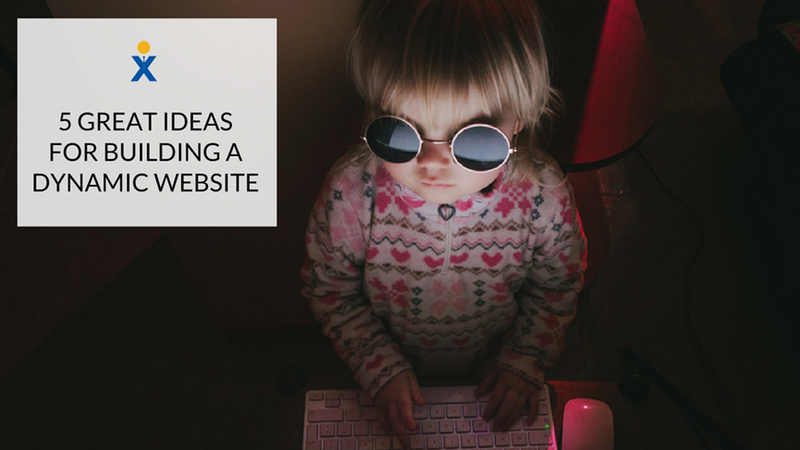 Regardless of whether you sell goods and services, your company's website should convey the solutions you offer, and you'll need to drive traffic there. Here are five ideas for building a dynamic website that provides your small business with a powerful marketing platform! Apply the same basic branding principles on your website that you apply consistently across other communication channels. Start with a memorable domain name, ideally one that correlates with your business name. Include your logo, tagline, and other brand symbols. Make your design attractive and consistent with similar schemes used in your physical locations or on your other marketing materials. The user experience is critical in dynamic websites. People move quickly on the web. Therefore, you need a site that is easy to understand and use. A simple navigation path, top navigation tabs and a breadcrumb structure are strong elements of usability. User experience is the overall sentiment a person feels after engaging your website. You need the following elements to provide great usability. You want to provide easy searches, personalized recommendations, a seamless buying process, accurate product descriptions, testimonials, and timely responses to customer service requests. Building small-business websites with a content management system is the norm in 2016. Even marketing agencies build many sites on WordPress, Joomla and Drupal for clients. WordPress is the most popular CMS platform. The benefit of use a CMS is the ease with which you can update content and integrate features. CMS offers an effective and efficient way to provide updated blog articles with static website content. Themes are available that correlate with virtually any type of site you want. You can find high-quality ecommerce sites or sleek-looking corporate layouts. More people conduct searches on mobile devices than on desktop computers. You need a site that is responsive. A responsive website is one that conforms to the user's screen size, whether it is desktop, tablet or mobile. A responsive site is simpler to develop and maintain. Google has even made mobile-friendliness a key factor in search results. If using WordPress, just select a template that has a responsive design. Effective marketing and SEO can help drive traffic to your website. That is just the first step. You also want to engage visitors and retain them. Feature social media buttons prominently to acquire followers and give people the ability to share your content. Offer a prominent subscriber form or a button for your newsletter or e-mail list. Social tools and subscriber lists are great methods to capture a visitor for ongoing communication, and to retain them as long-term customers. A small-business website is a necessity, despite the surprising fact that about half of small businesses still don't have one. More importantly, build one that is easy to manage, yet attractive and user-friendly for visitors. Use responsive design to appeal to a diverse audience, and integrate tools that engage and retain customers. Sign up for my weekly newsletter for more great tips on succeeding as a small business!